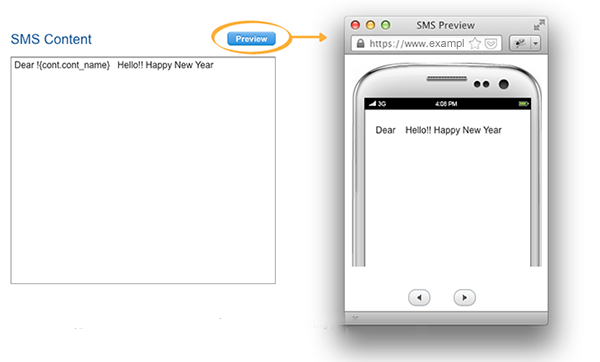 Click the [Create SMS Template] button at the top right corner. 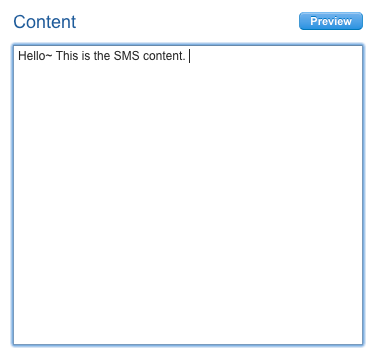 If the SMS template is public, other users can use and modify this template as well. You can write a SMS in the editor directly. Then choose the personalized data field and insert it to the appropriate location (if needed). 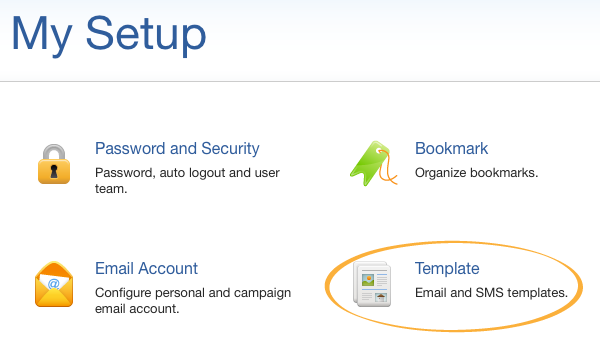 After finishing the email, you can click [Preview] to verify the content in the browser.